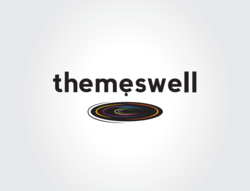 Themeswell announces the first theme design platform that allows themes to be exported as standalone WordPress themes. Smartt today announced beta release 0.0.3 of Themeswell, a theme design platform for WordPress. The new beta release is the first theme design platform for WordPress with the ability to export standalone WordPress themes. Themeswell now offers three designer themes to beta users. A pre-configured WordPress environment and free hosting from Themeswell is now available to beta users who want to bypass the installation process. Themeswell also announces a contest for beta participants. Beta 0.0.3 of Themeswell comes with some major enhancements. Themeswell is now the first theme design platform for WordPress that allows themes to be exported as standalone WordPress themes. This allows designers to use Themeswell’s intuitive, friendly tools to create and publish websites, but with the option to export themes for use or sale in non-Themeswell WordPress environments. Exported themes work in a standard WordPress environment without any changes to source code. With this beta release, Themeswell also introduces three Premium Themes, each specially designed to meet the needs of different markets. The Business, Blogger and Designer themes are available for free to beta users during the beta period. In response to the top complaint from beta users, Themeswell has simplified installation by offering free, pre-configured WordPress environments for the duration of the beta period. To celebrate the new release, Themeswell has launched a contest. Beta participants who enter the contest have the chance to win a brand-new iPod Nano and Watchband Accessory. Smartt and Themeswell are registered trademarks of SmarttNet Inc.